My wife, who is an ING customer, received an email last week with a new promotion for the TFSA account which becomes effective in January. The rules for the TFSA are that you can open up a TFSA account with a financial institution starting December 1, 2008 but you can’t transfer any money to the new account until Jan 1, 2009 – or more likely Jan 2 since Jan 1 is a holiday. This is kind of an odd situation since there isn’t much motivation for a person to open up an account early and then have to wait a month to put money in it. Of course there is a lot of motivation for the financial institutions to get you to open up an account so that they can get your money! The deal is that if you open up a TFSA account with ING right now – they will pay you 3% (their current rate) and then on Dec 31, 2008 they will pay you another 3% interest. Keep in mind the 3% is annual so you will only get a small fraction of that. The idea is that for someone in a high tax bracket who pays almost 50% tax – by doubling the interest payment, they are essentially paying the income tax and creating an effective TFSA starting right now. Of course, for someone in a lower tax bracket, this bonus is that much better. According to my rough calculations the “extra” bonus should work out to about $35 on a $5,000 deposit. Not a huge amount but it seems like a pretty good little bonus to me. ING isn’t really putting your money in a TFSA account but rather an open account (taxable) and paying for your taxes (and then some). We’re planning to put $5,000 into a TFSA for next year and this offer sounds pretty good to us. I haven’t been too big on emergency funds in the past because of the tax drag but the TFSA certainly takes care of that concern. Is anyone else going to take advantage of this offer? Are you going to wait until the new year to worry about it? Is the RRSP still worthwhile because of TFSA accounts? I’ve already set one up. I had money in an ING high interest savings account so I just moved it over to the TFSA and will collect a nice bonus on Jan 1st. While I’m certainly interested in the TFSA, I’m likely going to hold off until one of the banks I already have money in decides to offer it. I simply do not want yet another bank account opened up in addition to those I already have (prefer to keep my money between two institutions). I’ve already moved some money into a TFSA at ING, and I plan to add some more as the GIC ladder of my emergency fund unwind. I’ve already set-up one too. Good move from ING to attract new customers. Maybe this is silly question, but in order to get max value from a TFSA in 2009 (and future years for that matter), will you have to deposit your funds on Jan 1st? I think its more obvious for savings products, but how would it work for capital gains on non-registered stock. if i buy ABC company at $5 on Jan 1 outside TFSA, its worth $10 on Jan 2 when i transfer to TFSA and sell for $15 dollars on Dec 31, i’m guessing only $5 capital gain is “tax-free”. 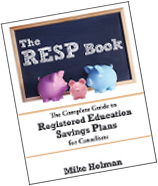 Rev – only capital gains accrued while the assets are inside the TFSA are tax-free. So yes, the cap gains would be $5 in that scenario. I would think to get the maximum value, you should put the money in as soon as possible. This could work against you in the short term if you own equities that go down since you can’t write off the losses in a TFSA. Math has never been my strong point or anything, but if the extra 3% is being paid during the 2008 fiscal year wouldn’t it have to be declared as income like all the rest of the interest and therefore be taxed accordingly? I’m sure the customer comes out okay but I’m having a hard time seeing how we’d come out as okay as ING seems to think. Hi nafs, any interest earned in 2008 in the ING “TFSA” will be taxable since it is not really a TFSA until 2009. The idea is that in a normal non-tfsa account you will be taxed at up to 50% for any interest earned. By doubling the interest paid over that period of time, TFSA is in effect paying the tax for you so worst case scenario you should get the equivalent of 3% interest tax-free. We had our emergency fund with ING anyway, so opened our TFSAs last night (after going through an excruciatingly long and painful call to regain L’s lost pin – I wish I could have recorded it). I’m pretty happy to have that squared away, roll on 2010. Jay – The TFSA works the same way as the RRSP with respect to contribution limits and accounts – you can set up as many accounts as you wish, but the total contributions per year cannot exceed $5k (not including carried over amounts). I opened a TFSA with ING because I already had an ING account. I was wondering if you can have more than one TFSA account, i.e. at different banks. What I’m wondering is in the future, can I open a TFSA account at RBC? It seems more advantageous to be able to buy stocks, which I’m not sure I can do with ING. I’m sorry, I just realized you answered my question. Please ignore! Since the thing about the TFSA is that you can put money in and take it out whenever you want (unlike with your RRSP) does anyone think it would be a good idea to move your emergency fund (and/or whatever other accounts you may have with ING) over into a TFSA? Shevy – that’s exactly what we are doing. One point tho – if you use up your contribution room for the year, if you take it out – that amount gets added back to your contribution room – but only for the next year. For ex. if you put $5k into a TFSA in January, then withdraw $2000 in Feb. You can’t contribute anymore for 2008. Your contribution room for 2009 will be $7,000. So you can’t quite use it like a regular bank account. I should probably post on that. Right, but if you put $500 per month into it and 6 months from now you take out $2,000 (leaving $1,000 in the account) can you still put another $2 grand into it over the course of the year (totalling $5,000 in total donations for the year)? I’m unclear about that aspect of it. Hi Shevy, yes you can. 6 months of $500 contributions = $3,000. This means you can put another $2,000 worth of contributions in for the remainder of the year, regardless of what you do with the existing ($3k) contributions. Any withdrawals you make, do not affect the contribution room for that year. I am wondering if it is possible to open a TFSA e-fund account at TD ? ProfitMaze – you should give them a call and find out. Just sent them an email. Will let you know what they say. Next post: Is the Current Market Drop Bad, Good or Irrelevant?